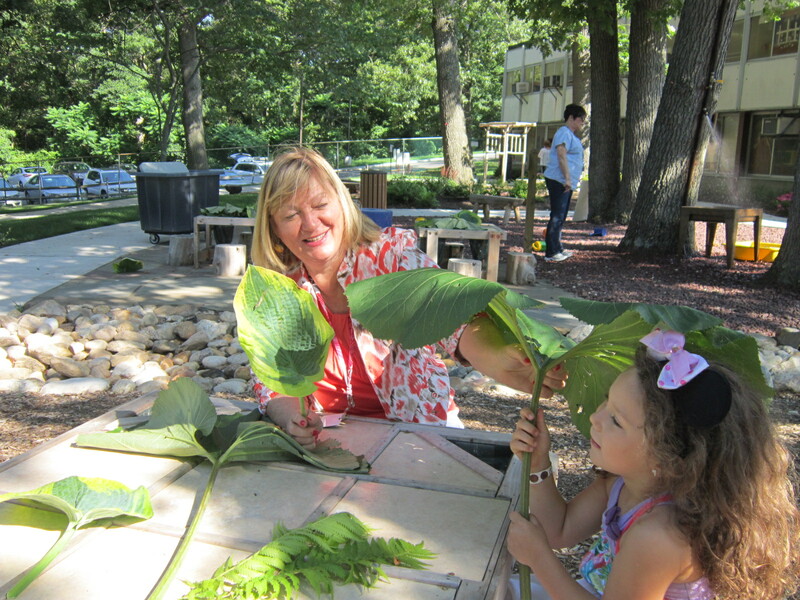 Starting Early Preschool is a large integrated preschool serving children with and without disabilities. 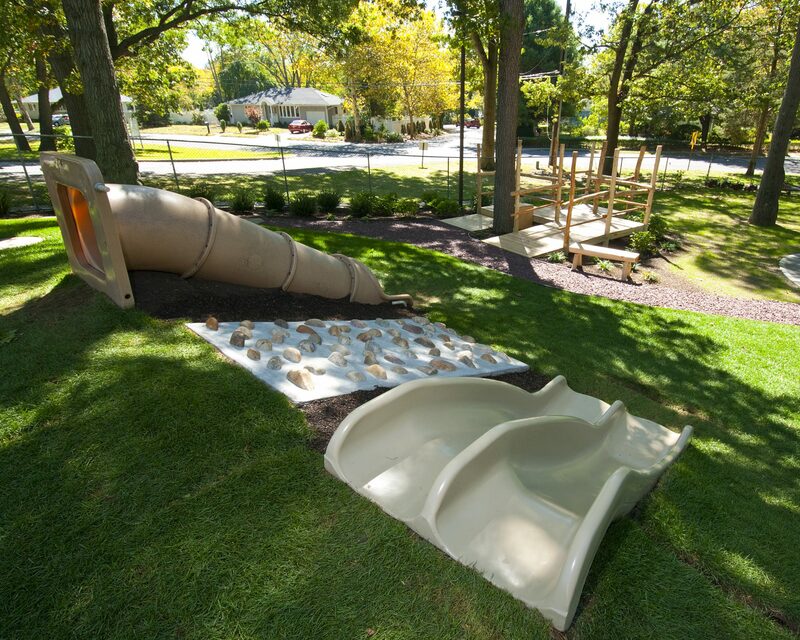 We had a one-acre wooded area that had a major run-off gully with an old climbing structure and large areas where the grass would not grow. In the winter of 2014 a designer from the Nature Explore program came to our site for two days to help design an outdoor classroom that would meet the special needs of our students. 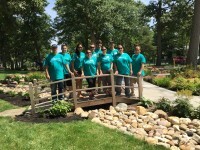 The team consisted of a Special Education Teacher, Education Behavior Specialist, Physical Therapist, Occupational Therapist and School Administrator. After two days we had a plan that enabled us to move forward with the bidding process. 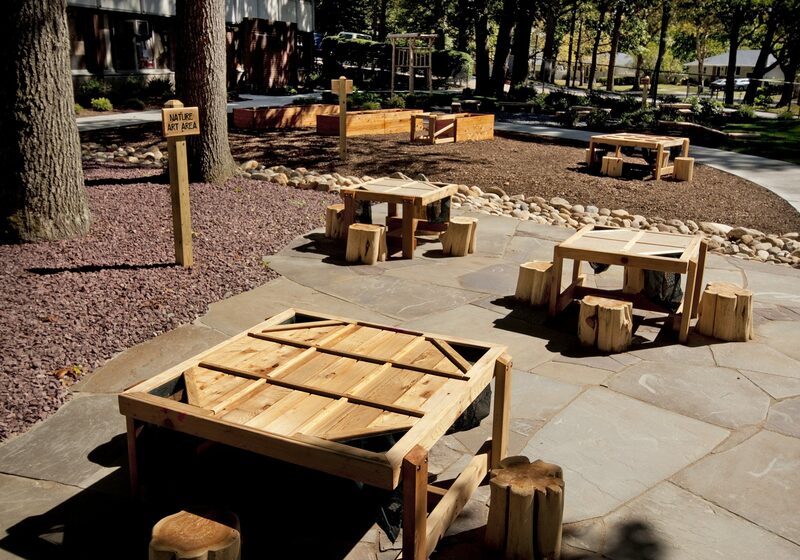 The outdoor classroom was built by J. Ratto Landscaping Ltd. and opened in the fall of 2014. 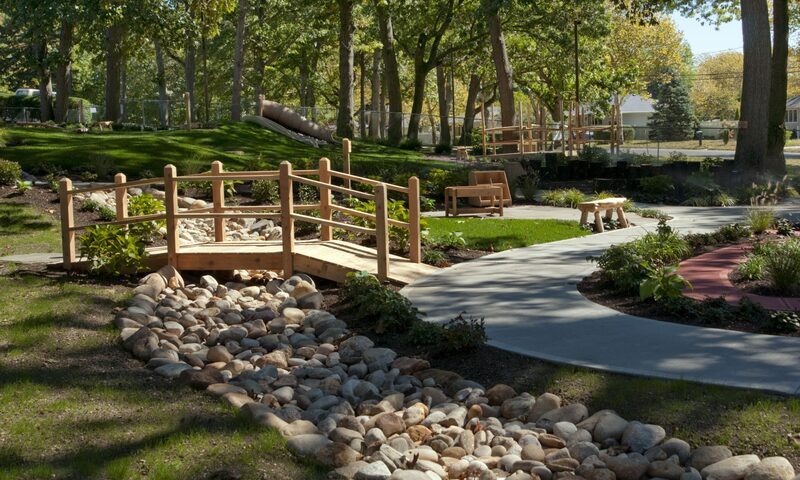 The plan incorporated our natural landscape and the run-off gully became a dry rock river bed that meanders through the outdoor space and is a major feature of our outdoor classroom. We added a walking labyrinth to provide a place for students to go and be quiet and calm. The children have enjoyed the classroom for almost one school year. They planted bulbs that bloomed in the spring and grew vegetables in gardening boxes built and installed by an Eagle Scout, Kyle Byrnes. 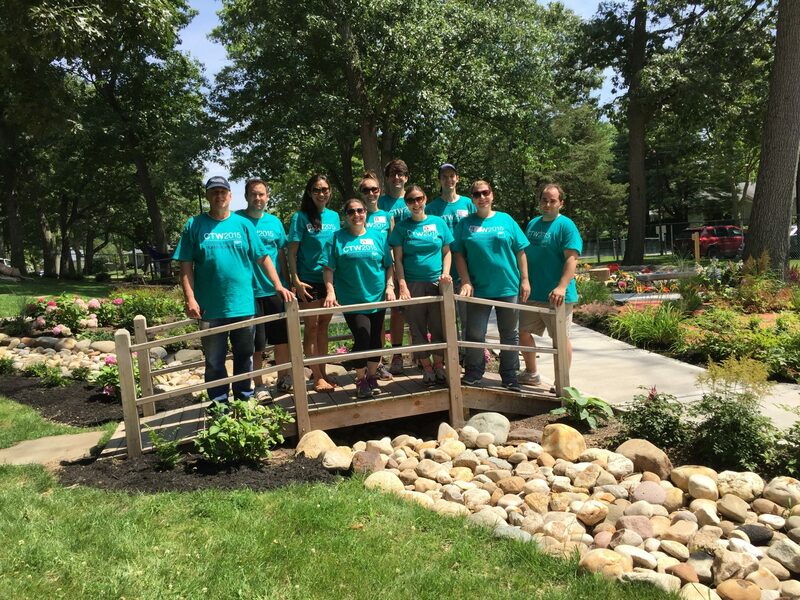 In early summer a group of adults with disabilities also served by our organization grew pumpkin seeds and planted the fledglings in a new planting area prepared by volunteers from Goldman Sachs. This fall our students enjoyed watching the pumpkins grow in our pumpkin patch, turning from green to orange and finally being picked, dissected, and tasted! Our families received training on “Back to School Night” and have participated in two “Family Fun Nights”. 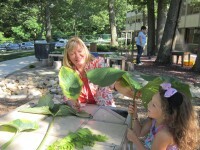 On each occasion we had over 100 families come back to school in the evening with siblings to explore the outdoor classroom as a family. In the fall of 2015 a parent donated two apple trees and a pear tree, and we have started our very own orchard. In the spring of 2016 we are hoping to add a peach tree so that the children will see fruit growing spring, summer, and fall. 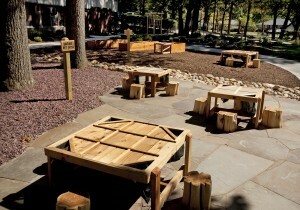 Our outdoor classroom is ever changing and evolving. 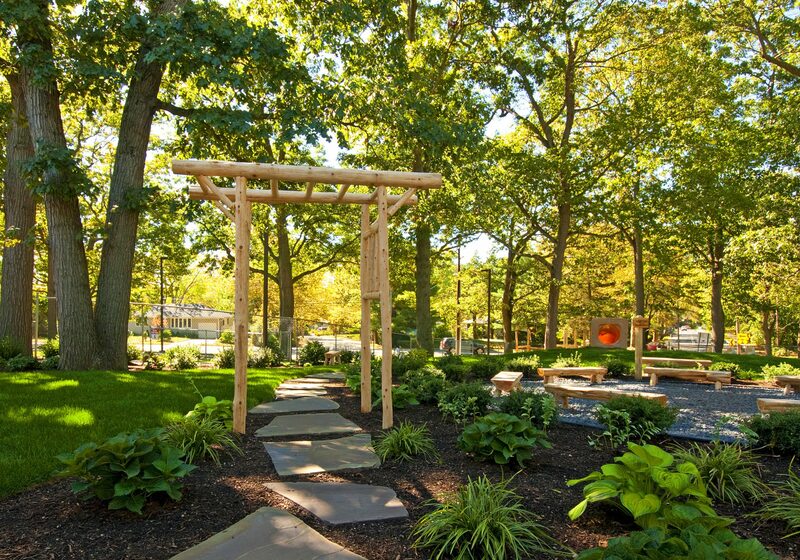 It is a place of calmness and inspiration for our students, families, and employees. It has been a project that has evoked pride in our entire Starting Early family.